I decided (in retrospect) that I wanted to do a different pattern swatch from 365 Knitting Stitches a Year each week this year. I’m going to make 3-4 6″ x 48″ strips of swatches & then seam them all up as a simple poncho. 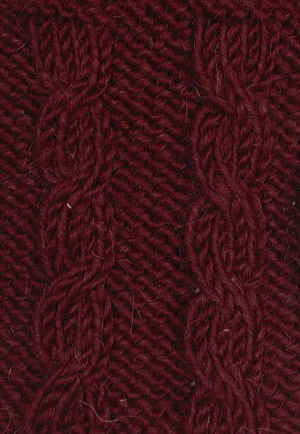 The yarn’s actually a bit less shiny than this, so the stitches fade into oblivion more in real life. Hopefully that means it will be cute & not look like a hideous crazy grandma poncho. And if that threatens too much, I can always make it into a throw instead. 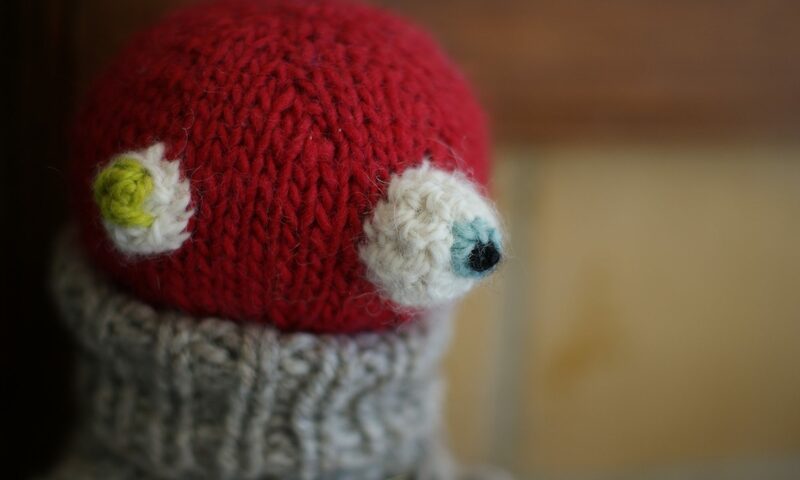 Random Bobbles and–I can’t remember what those little warty things are called, but I love them. January 1, Basket Rib (originally, I was just going to star at the beginning & go from there, but January 2 was too similar to January 1). My favorite so far is the first one (from the bottom), the Basket Rib, which reminds me of thermal underwear and which I think would make a really great simple fitted sweater. It’s pretty bulky, but it’s also quite stretchy. And I don’t like baggy sweaters, so unless it’s fitted, I ain’t making it. I’m a little behind. Week-wise, I’m at the beginning of February. But I didn’t start until March, and I had to order more yarn (I only had 1 ball, which I had bought as a sample). It’s the Webs Berkshire, which looks a lot like Lamb’s Pride, but the hairy part is alpaca instead of mohair, so no itch! The fabric gets softy-wofty and drapier when it’s washed. I really like it. Plus it’s $4.99 for 100g (which translates to $3.99/$3.74 with the Webs discounts), very thrifty! Many yummy colors, including lots of good reds, blues & greens, but no good chocolate browns or khakis, annoyingly. 1 ball made the first 5 squares. And they’re not really all different colors, I just sloppily adjusted the levels on the various squares to compensate for the lighting. You have mad skillz dude. Nuh-uh. There’s nothing fancy, just knitting and purling in a particular order over 25 stitches. But you are a big g33K.